Another from the new Guthrie Theater in Minneapolis. This time we're looking out one of the windows along the service bridge for the theater shop and offices. 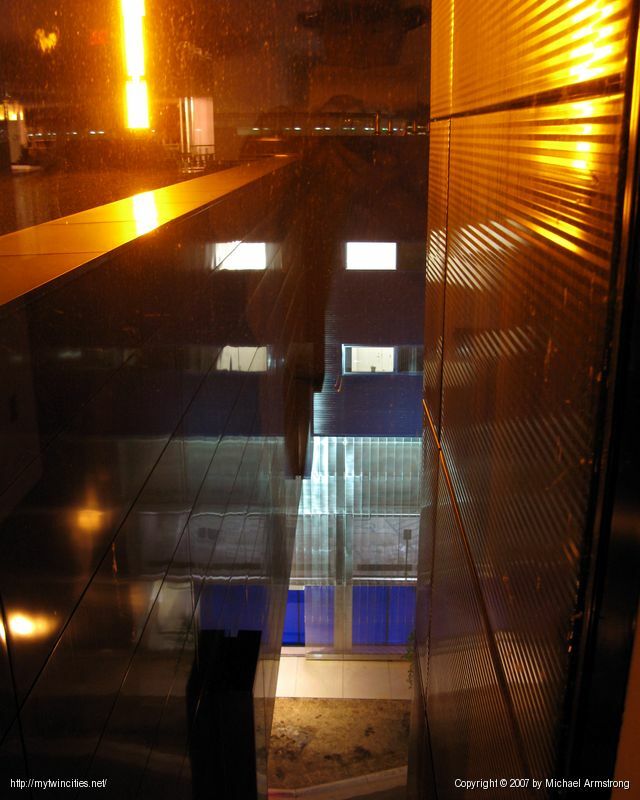 There's a parking ramp underneath the Guthrie offices. The orange light you see on the left is one of their vertical scrolling sings.